Over the past 10 years, I have traveled with my company, Family ChartMasters, to conferences across North America and Europe. To date, the largest family history conference has been Who Do You Think You Are Live in London, England. 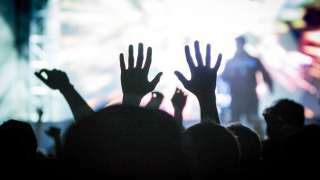 But this year, with the online streaming attendees, and record registrations, Salt Lake City was the host for what has become the largest Family History event in the world. 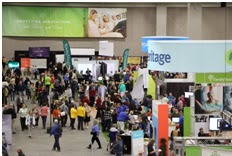 RootsTech was held at the Salt Palace and was sponsored by FamilySearch. Attendees traveled from 49 states (if you are in South Dakota you need to come next year) and 32 countries. Speakers presented workshops on a wide range of family history topics including social networking and archiving photos, DNA and storytelling and etc, and etc,. The presentations included a wide range of beginner to more advanced topics. Computer labs gave attendees hands on experience with the latest technologies. 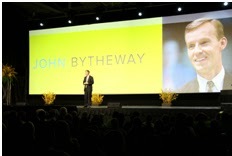 And the keynote presentations each morning came from a wide range of popular presenters. My favorite lecture was the keynote Friday with Judy Russell. She is a crowd-pleasing genealogy speaker who talked about how quickly family history information is lost and how important it is to effectively pass it down. Follow the link to listen to her inspiring presentation. On top of the great classes, the vendor&apos;s hall was the biggest I&apos;ve ever seen--and so much fun. With a demo theater, free giveaways and lots of hands on exhibits, you could spend the whole day in the vendors hall and learn enough to keep you busy throughout the next year. Experts from genealogy companies around the world were on hand to solve your family history problems and help you learn more about your ancestors. 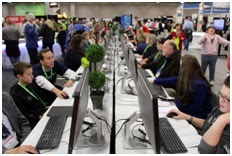 RootsTech continues to grow and improve each year and I&apos;m sure next year will be even better. Mark your calendars for February 12-14th 2015 and plan to join us and have lots of fun learning about who you are and where you came from. I&apos;ll see you there.